It's the Diwali week already! Wow. After celebrating Ganesh Chaturthi and Navratri, we are all set to ring in the festival of lights. 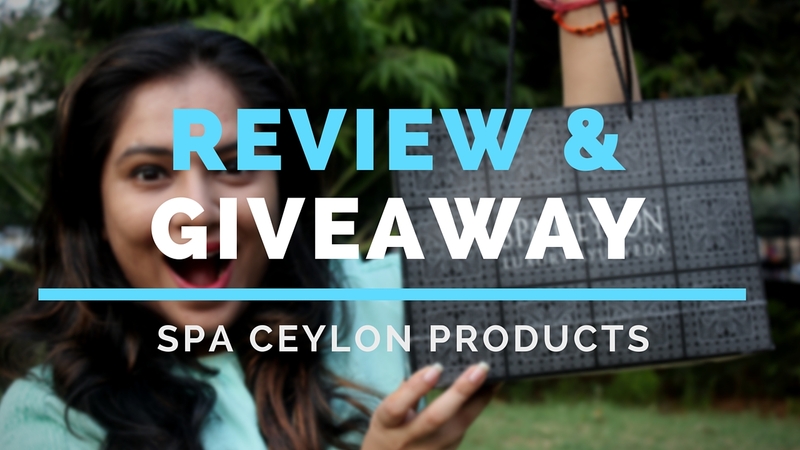 To mark this special occasion, we are reviewing some amazing products from the luxurious Ayurveda brand - Spa Ceylon - on our YouTube channel today. But that's not all. We love celebrating with our readers and as part of the Great Festive Giveaway Month, we have partnered with Spa Ceylon this week and guess what? We are giving away one amazing hamper. This Diwali, it's time to gift your loved ones the gift of great skincare. Spa Ceylon offers a variety of amazing hampers and discovery sets (collection based or customised) that can make for perfect gifts this festive season. For those feeling lucky, we are here to make your Diwali special with the #DiwaliWithSpaCeylon contest. One lucky winner will walk away with a super cool bath and body discovery set hamper from Spa Ceylon. All you have to do is watch our review video, answer a simple question, follow the rules mentioned below and get ready to win! What are you waiting for? Your key to great skincare is just a few steps away. Participate now. I would like to gift Green Mint cooling foot relief to my mom as she has a problem of cracked heels , specially in winter the problem of cracked heels aggravates and since she is old she needs some excellent product to heal that cracked heels and This Green mint foot relief would be an ideal gift for her as it softens the skin , removes dryness n roughness of skin. 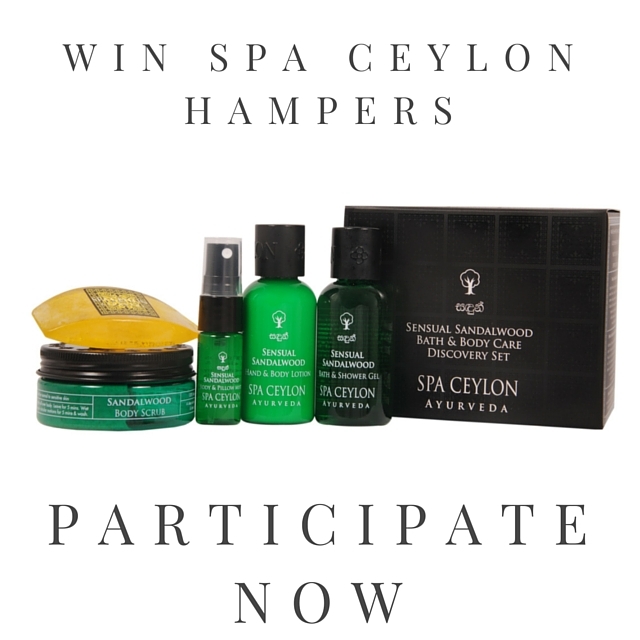 #DiwaliWithSpaCeylon I would love to gift Spa Ceylon SLEEP THERAPY - Home Spa Set to my best friend, who is going through some rough phase in her personal life. She is my childhood buddy and we both share so many lovely memories. She is the girl who makes everyone laugh with her extraordinary sense of humor. But due to some personal issues she is sleep deprived and lost her evergreen charm. After watching your review on Spa Ceylon SLEEP THERAPY - Body & Pillow Mist I’m sure it will help her sleep peacefully. #DiwaliWithSpaCeylon Everyone wants to look beautiful during the festive season, because they meet all their relatives, friends and take photos. So, if our skin looks bright and healthy, it will add more joy to our celebration. I'd like to gift the WHITE JASMINE - Facial Masque 100g to my loved ones (obviously my mother). She is fond of jasmine. I'm damn sure she'll love this product. This face masque will lighten, brighten & illuminate skin and will make her skin ready for the celebration. I've done with all the steps ! Thank you for the lovely give-away ! I would love to gift the Body Lotion to my daughter. She too has sensitive skin. This year in October she had a really bad outbreak of rashes due to dengue. Her entire skin is red and she cannot use regular paraben-fillen lotions as it irritates her skin. I think this product is organic, ayurvedic and will moisturize her delicate skin. You reviewed it as a great product and I feel this will surely benefit my daughter. Love your make-up ! You are so stylish ! Hope someday I'll manage to make myself as pretty as you. Thank you for the wonderful reviews in your video. I love to give rather than receive . I wish you a wonderful Diwali and hope someone makes you smile as much as you have made us by organising this give-away! I have my heart set on the cute body butter & would love to gift it to my granny. She has really rough elbows and knees as she is 85. If I win this she'll get to try a great brand that you recommend. Hopefully my dream will come true ! I have shared on all platforms. also the products are great for sensitie skin and ayurvedic i am really very excited to gift the to my lovely ladies . Thanks for awesome oppurtunity ! she is a working lady and hardly has time for herself..